UPDATE: As of April 25, former President Bush has been moved from ICU to a regular room. According to his spokesperson, Bush is "alert and talking with hospital staff, family, and friends, and his doctors are very pleased with his progress." In addition to being thankful for the prayers and good wishes, Bush is said to be focusing his attention on the Houston Rockets closing out their playoff series against the Minnesota Timberwolves. President George H.W. Bush has been hospitalized for an infection just a day after the burial of his wife, Barbara. 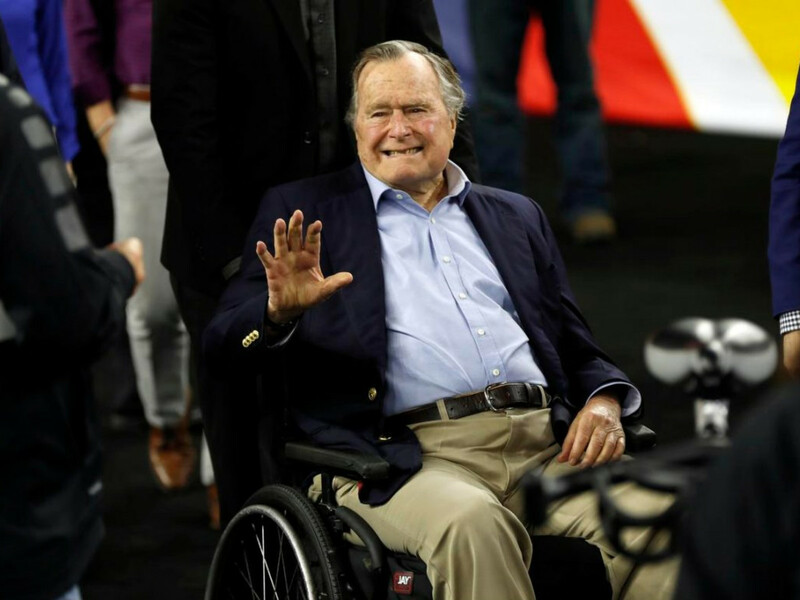 A statement released April 23 from Bush's office stated the former sitting president was admitted to Houston Methodist Hospital on the morning of April 22 "after contracting an infection that spread to his blood." His office added Bush has been "responding to treatments and appears to be recovering." The 93-year-old Bush was present for the April 20 public viewing of his wife, Barbara, at St. Martin's Episcopal Church. Barbara Bush passed away last Tuesday, April 17, at 92.